The World Health Organization’s (WHO) report on deafness and hearing loss shows that 360 million people worldwide have some degree of hearing loss. Added to that, the current production of hearing aids meets less than 10% of the global need, something that can be explained by their high prices, which leave several hearing impaired patients with no chance of getting it. In order to go against this, the South Korean company Olive Union decided to develop a better and affordable hearing aid accessible to everyone. In order to do so, they resorted to crowdfunding, launching an Indiegogo campaign that was successfully funded in just a few days. This company believes that, while 95% of hearing loss patients can be successfully treated with hearing aids, only 22% currently use them, due to persisting barriers, including high cost (most range from $2,000 up), limited access, and the stigma associated with wearing a visible hearing aid, even though they became increasingly smaller over time. With all this in mind, they went out to create a less expensive, next-generation, and good-looking device, and Olive is the result of that work. It features a smart sound algorithm and Bluetooth technology, as well as a hearing test app so the device can be tuned – something that will cut down on expensive trips to the audiologist. Olive resembles a Bluetooth headset more than a hearing aid. Everything about it is wireless, including charging, which is done with a nicely designed charging dock. 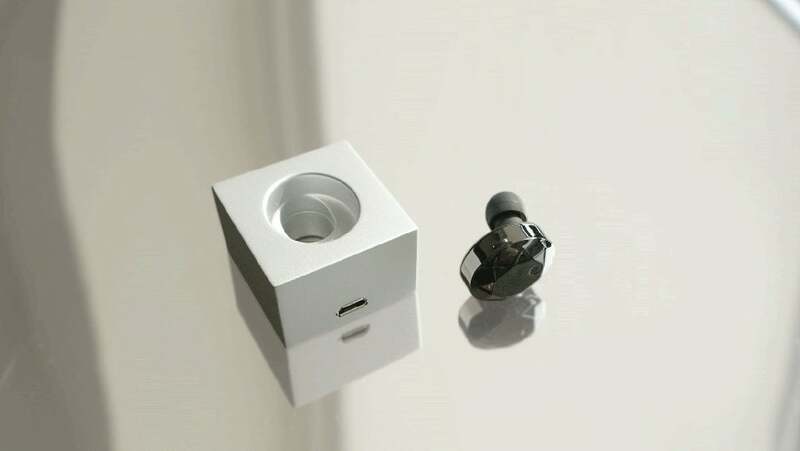 It features a single button, which is used to turn the device on and off, and comes with multiple silicone tip sizes to fit all ear lobes. Olive’s battery lasts 4 hours. When you visit the Indiegogo campaign, you can purchase one Olive and be a Beta tester for the device for only $50, a great price compared to their competition. The campaign also features discounts for other orders, such as a pair of Olives so, if you are interested, be sure to look into the campaign’s page or Olive’s website to know more. 25 y/o, born and living in Portugal. Majored in Biology, but tech and computers were always a passion. Wrote for sites like Windows.Appstorm and MakeTechEasier.